Tickets must be redeemed at the Jurong Bird Park entrance, please have your iVenture Card present. 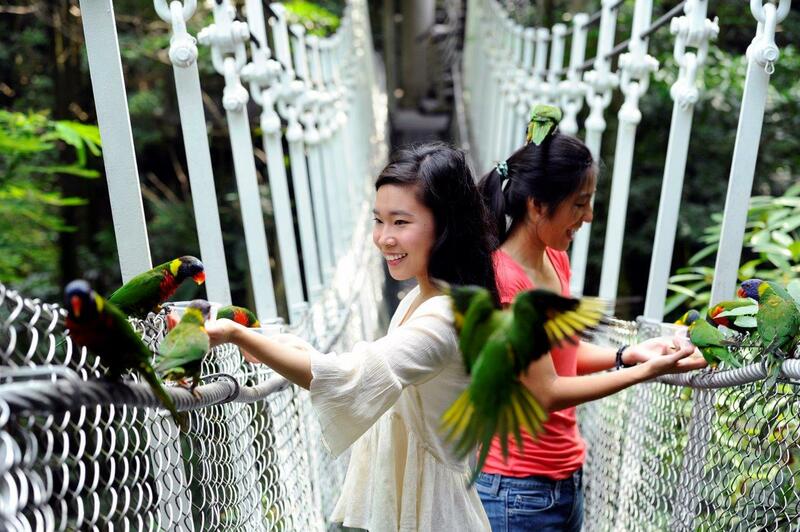 Get set for Singapore’s ultimate animal encounter in Jurong Bird Park, an aviary and sanctuary that houses one of the largest collections of birds in the world. Inside you will get to know over 5,000 feathery friends from across 380 bird species within 20.2 hectares of exploratory landscape. Fancy feeding parrots on a bridge walkway? Have a penchant for paddling with pelicans? Eager to watch birds of prey soar high above you? 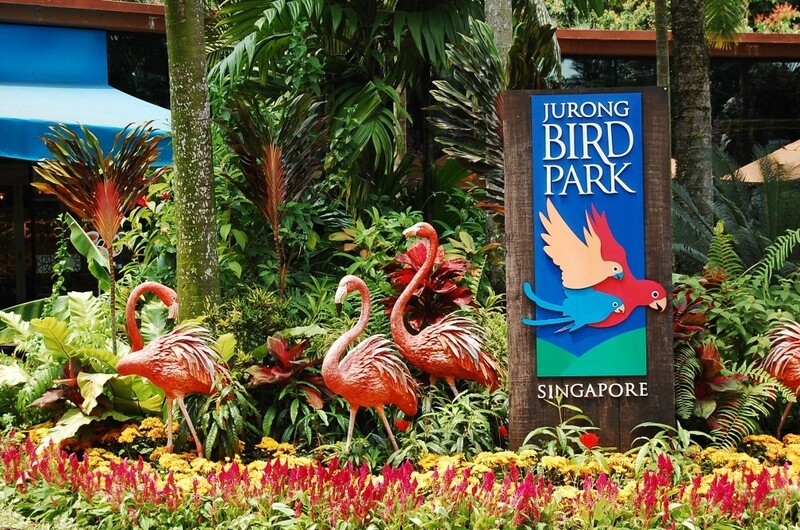 You’re in luck as Jurong Bird Park encapsulates all the magic and playfulness of the outside natural world within a peaceful and animal-friendly environment. The Waterfall Aviary is home to over 600 birds which share space with a 30-metre high waterfall feature and over 100 plant species. Enjoy your time strolling through the landscape to marvel at the creatures flying overhead and the wildlife at your feet, such as the elusive crested guinea fowl, and the iridescent starling, turaco and roller. In the 9-storey high Lory Loft, you will meet the Australian natives, the most pleasant mannered birds at Jurong Bird Park. Kids and young families will enjoy the up-close feeding frenzy that takes place as you cross the suspended bridges - hold out a cup of nectar mix and watch the birds flock in for a bite to eat! Jungle Jewels is the aptly named rich South American tropical rainforest where you’ll find the striking toucan in its natural habitat. Look up for a sighting of the brightly coloured tanager and red-crested cardinal within the looming treetops as you pass through. No visit to a bird sanctuary would be complete without a penguin encounter, and fans of the species can say hello to these Antarctic residents at Penguin Coast’s impressive ‘explorer ship’. You will have a full open view of the penguins who are prone to diving and torpedoing through the clear waters. Whilst outdoors, you can meet the park’s African penguins during a special feeding activity. Flamingo Lake is an open concept feature of the park where hundreds of flamingos move gracefully around the lush waterside landscape. And nearby in Pelican Cove, home to the world’s most comprehensive collection of pelican species, a unique underwater viewing gallery allows you to observe the pelican families dip and dive for fish. Jurong Bird Park is open 365 days of the year to accommodate visits during school holidays and holiday seasons. The park is roughly a 30-minute drive from the city, also accessible by public transport if you prefer. Park guides and tour material can be purchased upon entry, along with goods and souvenirs at the specialist gift shop.